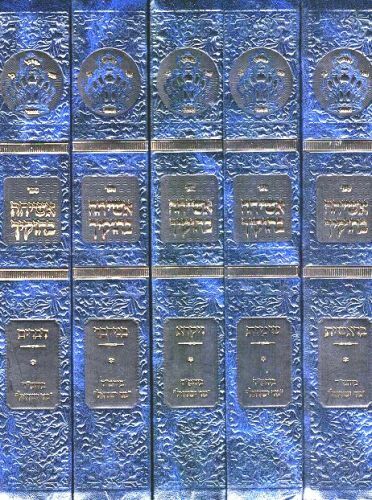 Author: Rabbi Avraham Zvi Kluger Description:A five volume set of beautiful and comprehensible discources on the parsha ,on all five Chumashim, based on Toras Rabeinu,generally spoken at the peak of Shabbos, during seudah shelishis, by a new star on the horizon who has merited to acquire many talmidim and followers. Complete with excellent indexes and summaries. 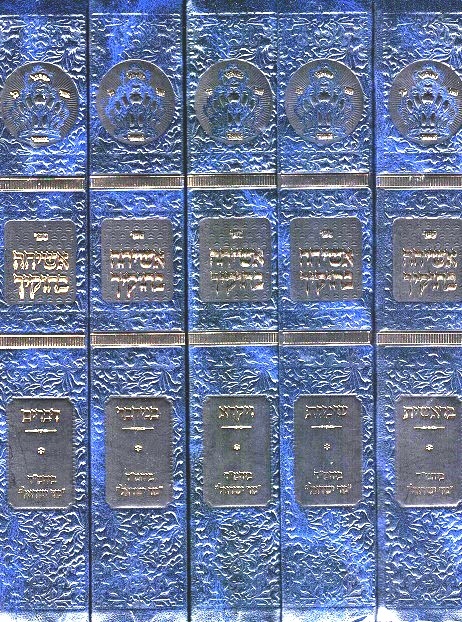 Publishing data: Eretz Yisrael 2018 3440 pp. HB 7"x10"